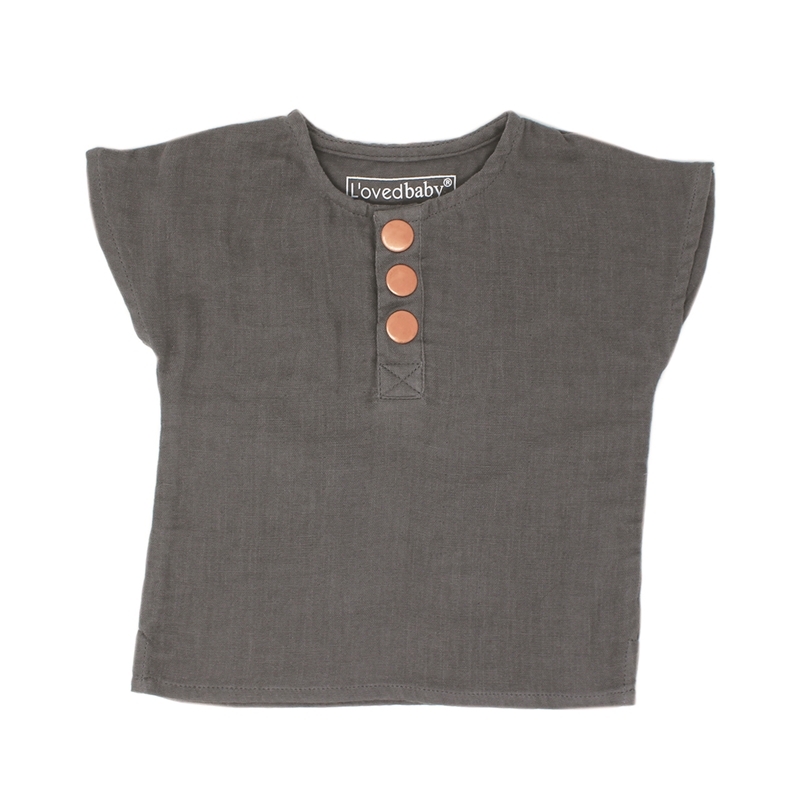 This darling organic muslin top is perfect for those warm summer days. Three antique gold snaps make for easy on-and-off and coordinates perfectly with rest of the muslin line this season. 100% organic muslin by L'ovedbaby.